I changed my mind about my career twice, without ever changing my major. Changing from high school English teacher, I discovered a real love for journalism and storytelling in college. I was hooked. I spent entire weekends in the basement office of our university newspaper. After a few years, I realized it is the storytelling, editing, details, and strategic planning that I love and switched to corporate communications. My professors were my best resource for internships. I checked our university career center’s listings and department’s listings, too. Actually, one of my professors recommended me for an internship, and that internship led to my current job. I found my full-time job when someone I had previously worked with during an internship emailed me the application. It was a fit! The biggest challenge I’ve faced in my career so far has been when someone, who had power and pull at the organization I worked for at the time, said, “Oh, she can’t do it. That’s not what she does.” I felt deflated for a moment, but the experience taught me an important lesson. The experience taught me to create growing opportunities for myself. Instead of waiting for an invitation to sit at the table, I flipped my thinking and directly asked for a seat at the table. Working hard is important but working smarter and strategically is even better. School only required me to do the work but starting my career has challenged me to work smarter. I start every week with a list. The things that I can automate in Outlook I do. Be a sponge and learn. Ever have a meeting where afterwards you google the acronyms they were using? Oh, just me, okay. The point is there are limitless resources to learn at our fingertips. We just have to grab one, learn, and apply it. Also, your greatest asset is the ability to adapt and communicate at different levels of an organization and with different types of people. In the New Pros section, I like that I am connected to people who have or are going through the same professional growing pains. 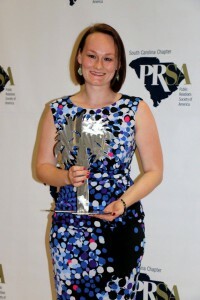 There isn’t a time when I login to PRSA and do not learn something new. In an industry that changes so quickly, learning from other pros is a big resource. I wish I would have had a better sense of the things no one wants to talk about, such as salary negotiation and time off. My tendency is to work, work, and work, so the idea of work life balance is very much still in-progress for me. My first job was working as a soccer referee at the age of 13. When I was in high school. 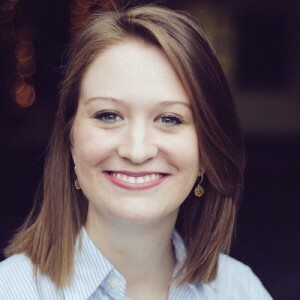 My first job was waitressing at a small restaurant in my hometown and towards the end of my junior year of high school, I started coming up with ideas to reach more people in the community and engage with customers through community events, promoting specials, using social media, connecting with the local newspaper and helping our happy customers to spread the word. Since we were a small staff, I took on the responsibility of planning & executing these ideas too. When it came time to look for colleges and think about what I was interested in the following year, I already had a pretty good idea & looked for schools specifically for their PR programs, not just general communications. Everything I learned while pursuing my degrees and on the job has only made me more curious. I came up with a list of places I wanted to intern and hit the ground running applying and figuring out if I knew anyone who could help me get in the door. That method worked and I landed my first internship with the Make-A-Wish Foundation in Pittsburgh. Everything after that I’ve found by just being open to opportunities and making sure my network knew that I was interested in new things, even if I was enjoying what I was doing at the time. 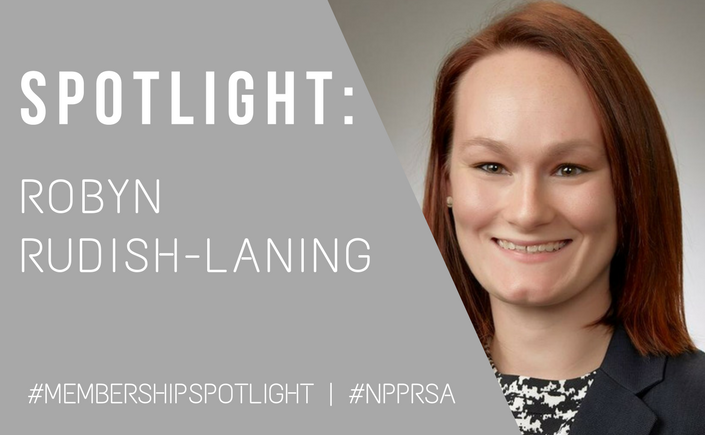 I found my last two jobs by making connections through PRSA, particularly local chapters, and being honest that I was new in the area and looking for a new opportunity. Learning how to be the one making the plan and communicating the importance of a comprehensive communications strategy to guide the communications, PR and marketing efforts. Taking things from tactical and responsive to strategic and proactive is tough, especially when you’re not exactly in a decision-making role. 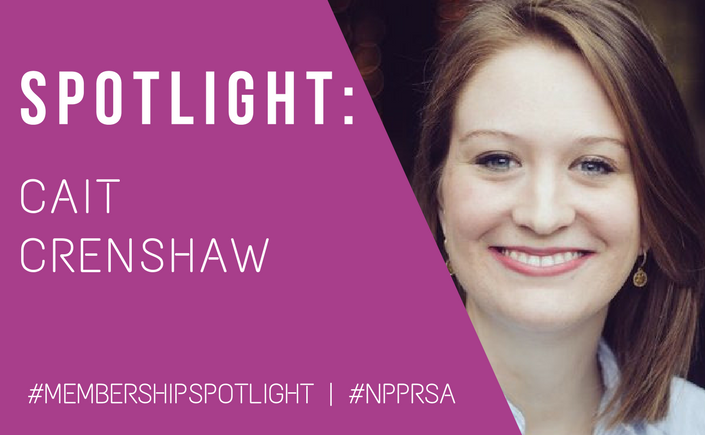 The experience I had gained through volunteering for my PRSA chapter was incredibly helpful in knowing what needed to be done and the importance of a forward-thinking strategy. I’m also grateful for the guidance of more experienced PRSA members who often offered to be a sounding board for ideas and mentors. I think learning to speak up and how to be a leader have been the most valuable things I’ve learned. It’s easy to say “I don’t have enough experience” or “what do I know, this person probably knows better than I,” but that’s not always the case. There’s no such thing as too little experience when it comes to leading or coming up with new ideas. The most dangerous trap anyone can fall into is believing that just because something has always been done one way, that you shouldn’t shake it up once in a while. “Give yourself some time and give yourself some hope.” – PRSA’s 2017 National Chair Jane Dvorak while speaking to a mixed group of SCPRSA and PRSSA members at the University of South Carolina. Practice, practice, practice. You can never learn too much. Volunteer, take on some pro bono work, take on new roles and responsibilities in internships and jobs – whether the job is in the profession or not, everything uses communications in some way. Get into a habit of learning whenever you can and being inquisitive. The more time and energy you invest in yourself and your career, the better the returns will be and the more likely an employer is to invest in you and helping you develop your skills. Definitely the opportunities to network, get involved and lead. It’s incredibly easy to turn down opportunities to get involved and lead by thinking that lack of experience is a barrier, but being a part of the New Pros section has shown me otherwise. We’re a group of pros with five years of experience or less, so it’s a pretty level playing field and there’s plenty of room for everyone to get involved in some way. Leading the section has given me the opportunity to gain experience and has boosted my confidence in my own abilities, making me more sure of myself and my work and leading me to take seize leadership opportunities in my chapter and my workplace. I wish I had understood the importance of practical experience and application of the theories and ideas discussed in the classroom. While it’s all important, it can be overwhelming when you’re first starting out to translate that knowledge into practice. Tell us a little-known thing about yourself. I once competed in a local-level preliminary Miss America pageant. My issue platform was literacy across America & I competed to prove to myself that I could & to push myself to step outside of where I was comfortable.